Active: Employed by educational institutions, community-based organizations, workforce development agencies, businesses, or other related services, or are self-employed ($75). Retired: Retired from active employment with educational institutions, community-based organizations, workforce development agencies, businesses, or other related services ($50). 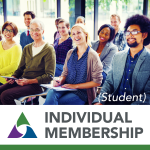 Student: Enrolled full-time in secondary or postsecondary institutions and not eligible for active individual membership ($30). 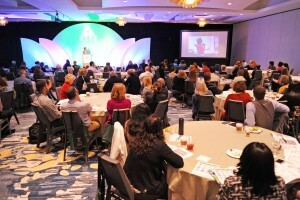 Affiliate membership is granted to local and community agencies, organizations, and businesses that wish to partner with NAPE to promote equity in education and the workforce. 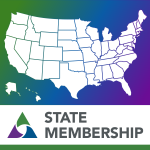 Level I: Agencies, organizations, and businesses within a member state can receive Level I affiliate membership at $150 per year. See if your state is a NAPE member. 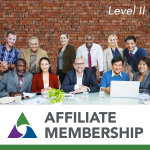 Level II: Agencies, organizations, and businesses within a non-member state can receive Level II affiliate membership at $250 per year. See if your state is a NAPE member. State-level membership is granted to any state agency responsible for administering Perkins-allocated funds for leadership, technical assistance, and professional development about equity issues in education related to workforce development, including CTE. Dues are based on each state’s Perkins allocation. See if your state is a NAPE member. If you already know what’s right for you, click the appropriate item above and proceed to the cart. If you aren’t sure, use the decision tree below to determine the best membership type for you. To find out whether your agency holds a Nape membership, click on your state on this map. All benefits of state level membership apply. Click here to create your profile. You qualify for Individual Membership. Learn more about Individual Membership, or Purchase Individual Membership now (you will go directly to the cart). You qualify for State Membership. State Membership must be requested and granted through our team. Please submit your request for Membership. You qualify for Affiliate or Individual Membership. Your agency may become an affiliate member, or you may become an individual member. Learn more about Affiliate Membership. You may also purchase an Affiliate Membership now (you will go directly to the cart). You qualify for Student Membership. Learn more about Student Membership. You may also purchase a Student Membership now (you will go directly to the cart). 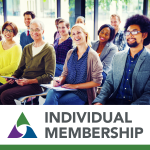 Learn more about Individual Membership. You may also purchase an Individual Membership now (you will go directly to the cart). You qualify for Retired Membership. Learn more about Retired Membership. You may also purchase a Retired Membership now (you will go directly to the cart).